SEA-LAND CHEMICAL CO. @ ChemBuyersGuide.com, Inc.
Sea-Land Chemical Co. is the best single source for all your specialty chemical needs. For over 50 years, we have been serving the lubricant, personal care and pharmaceutical industries, as well as manufacturers of household, industrial, and institutional cleaners. We represent the broadest line of specialty chemicals in the industry - all from the world�s leading chemical producers. Many of these products are maintained at our eight warehouses in order to immediately ship products. Our state-of-the-art inventory management system tracks customer ordering history so that we can anticipate your chemical needs and keep sufficient inventory in stock. 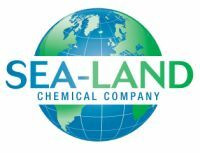 Sea-Land�s qualified sales and support personnel are available to help with chemical selection and finding methods to increase the efficiency and profitability of your operation. We keep up to date on the latest developments in order to provide you with current information and trends. Products for SEA-LAND CHEMICAL CO.